USA Network needs to bring back Tuesday night fights! Fights out of the US Virgin Islands. 10-0 with 9 KOs. 22 years old. He fights at junior middleweight. The son of the legendary hard-hitter, Julian Jackson. He has power in both of his hands, a little like his daddy. Qualified for the 2008 Olympics. 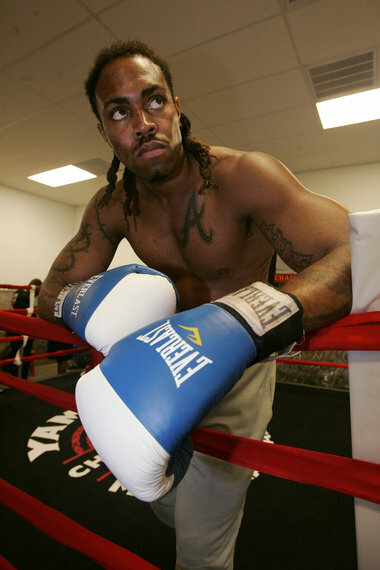 Has an older brother named Julius Jackson, who also has finished most of his opponents. 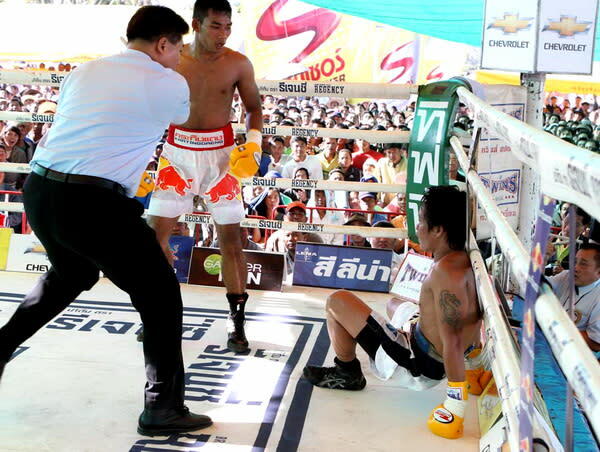 Fights out of Thailand. 10-0 with 7 KOs (according to Boxrec). 19 years old. Fights at welterweight. Stands at maybe 5'11" or 6'0 (Boxrec doesn't say but he looked pretty tall). Has over 100 Muay Thai fights. He has a lot experience in fights despite being only 19 years old. Hopefully, he gets some exposure outside of Thailand because I think he can be a real dark horse in the future at welterweight. He had a fight on Youtube, but now its not there. You don't see many boxers out of Thailand. CanadianAssault wrote: You don't see many boxers out of Thailand. 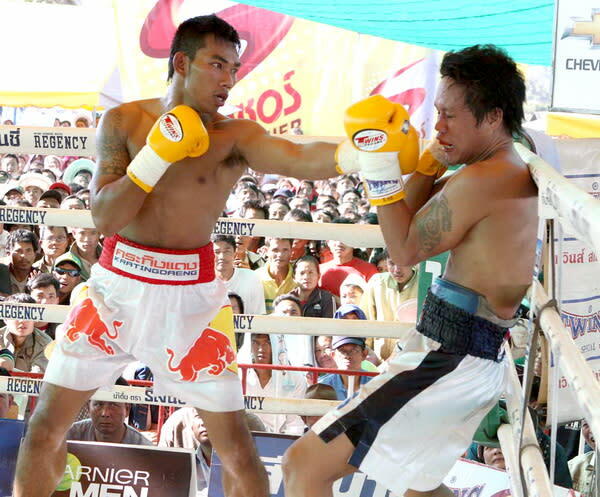 there's been plenty of solid boxers out of Thailand for the past twenty years, you just don't see many solid fighters below Lightweight, much less Welterweight. Fights out of Saint-Emile, Quebec, Canada. 15-0 with 11 KOs. 26 years old. Fights at middleweight. Seven time Canadian amateur national champion. Fights out of Poland. 22-0 with 11 KOs. 23 years old. Fights at heavyweight. Has lifted the Polish and WBC Youth titles so far in his career. 拳天下 wrote: Frankie Gavin - a British junior welterweight boxer from Birmingham. He is 25 years old and holds a record of 8-0 (KO 7). Gavin won the gold medal at the 2007 World Amateur Boxing CHampionships to become English boxing's first ever World Amateur champion. He will be taking an appropriate step up against former European lightweight titlist Jason Cook this Saturday. He is promoted by Frank Warren. rodriguez didn't impress me in his last fight. i even thought pryor jr won the fight. pryor jr was able to use his reach effectively and rodriguez was struggling to get any effective offense off. 6'7, 27 year old former football player. Took up boxing some 20 months ago. Winner of the Minnesota state USA Boxing championship, Upper Midwest Golden Gloves championship, and USA Boxing national championship. Currently boxing at the Olympic Trials, coming in as the #1 seed. Lost his match yesterday on a countback. Came back today with a first round KO to keep his hopes alive. Jonathon Hamm just lost 20-10 to Dominic Breazale. and the search for an American Heavyweight continues. There are several other good heavyweights in the tourny though, most notably probably Lenroy Thompson, Michael Hunter and the relative young gun Steve Geffrard (all of whom are still alive, Hunter and Thompson being in the winners brackets). Just to note, Thompson as well as Hamm are fighting at superheavy, whereas Hunter and Geffrard are at heavy. Also, Hunter beat Geffrard yesterday (knocking him into the challenger bracket). It just seems so tough for American amateur boxing to compete these days. I'm really not nationalistic about boxing at all, but I would like to see American heavyweight boxing have a resurgence. The history is so rich, and the style seems different than the Eastern Europeans for the most part (though I'm very high on Kubrat Pulev right now). I hope there'll be video of this tournament available at some point. CanadianAssault wrote: and the search for an American Heavyweight continues. What was this guys name again? Heavyweight boxing has its Roy Nelson. I remember this kid has some skills, but what a fatass. He looks fat but his really good, like a james toney. Yeah, I remember seeing a fight or two of his. May've been something you posted here once, I can't remember. Vasyl Lomachenko is a 23-year-old Ukrainian amateur boxer who won the silver medal at the 2007 World Amateur Boxing Championships, a gold medal at the 2009 World Amateur Boxing Championships and the gold medal at the 2008 Beijing Olympics in the featherweight division. Lomachenko is coached by his father Anatoly. Lomachenko claims that if his father hadn't been a boxing coach he probably would have chosen to play ice hockey professionally. In 2004, he became junior flyweight European U17 champion. In 2006 the aggressive southpaw won the Junior World Championships, where he beat future bantam world champion and fellow southpaw Sergey Vodopyanov. The following year at the (seniors) World Championships 2007 in Chicago he beat Abner Cotto in the first round, Theodoros Papazov, Arturo Santos Reyes, and Li Yang in the semifinal to reach a fight against Russian favorite Albert Selimov, another southpaw, that he lost 12:16. Lomachenko won gold at the 2008 Olympic Games in Beijing, China. He avenged his 2007 World Championship defeat to Selimov in the first round. Lomachenko beat his five opponents by an astonishing 58-13 on the way to his first gold medal, and was subsequently named the outstanding boxer for the tournament and awarded the Val Barker Trophy. He now boxes at the lightweight division and has said after the 2012 London Olympics that he will turn pro. Sure he's not a pro yet, but he is still an exciting prospect to keep you eyes on. Was most of this taken from wikipedia? yea it was. Will keep an eye out for this guy! really like the high light video of his run at 08. Benavidez Jr vs Mercito Gesta.